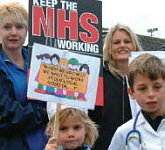 Hands Off Bedfordshire's Health service! A critical response to the Special Administrator’s Draft Report on South London Healthcare Trust, December 2012. An updated survey of "Shaping a Healthier Future" - plans for healthcare in North West London. 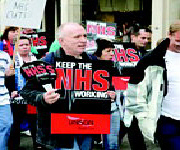 Researched by John Lister for Brent, Ealing and Harrow Trades Union Councils, June 2012.